Phonics fun with Julia Donaldson! Learn because you love it. Nobody gets you reading faster than the bestselling author of The Gruffalo. She knows exactly how to please you lucky little people with stories and rhymes you just can’t put down. 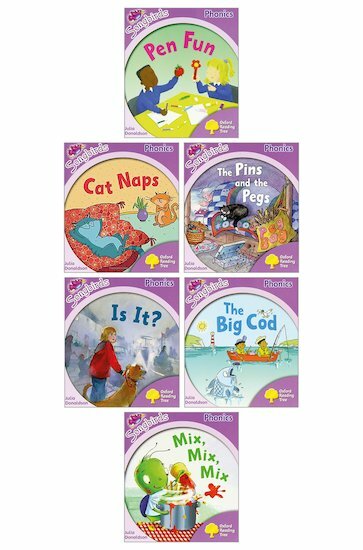 Written with Julia’s trademark humour and verve, these colourful short tales will quickly get you confident with simple phonic sounds. All the joy of Julia’s wonderful writing – with extra reading support.